Pastel Pines International is an Australian made home fragrance and aromatherapy manufacturer. 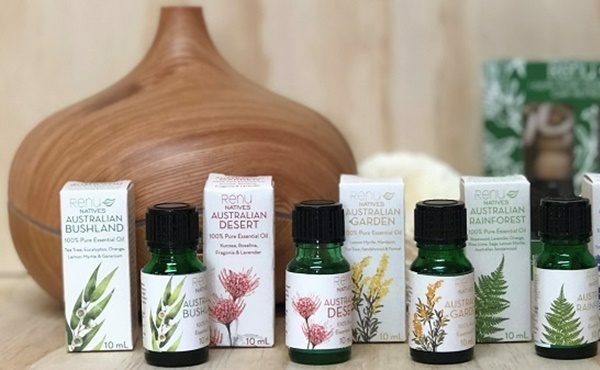 With over 25+ years experience in the industry, its essential oil brand Renu features a large range of high quality aromatherapy products to fragrance your home whilst calming the mind and relaxing the body. Pastel Pines launched its essential oil car refresher set as well as its Australian native essential oil range at the AGHA Sydney Gift Fair In February. The essential oil car refresher set gently fragrances your vehicle using a natural wood top to evaporate the 100 per cent pure essential oil blends. The Australian native essential oils are all 100 per cent pure and sourced within Australia, making them perfect for a high quality aromatherapy experience. The ultrasonic diffusers make the perfect pairing with the essential oils, with a variety of eco and modern living inspired shapes and designs. Ultrasonic diffusers are one of the safest and most beneficial ways to fragrance your home or office―the ultrasonic vibration gently releases the mixture of essential oils and water into the air without using heat or toxic chemicals. Pastel Pines' Renu brand also features its popular 40 piece essential oil display which is the perfect introduction to essential oils for your company. Simply place the display in your shop and let the display do the work for you. The 40 piece display comes with 10 testers of the 100 per cent pure essential oil blends, so your customers are able to sample each fragrance before buying. Pastel Pines also has the capabilities to create a private label essential oil line for your store or company, involving you in everything from designing the packaging to choosing the fragrances.